Two Doors Down opened in September 2015 and is owned and managed by Erin Nestor and Rebecca Denk, who own The BottleNeck Lounge located just up the street. Featuring a split-level design, soaring windows, wood-clad walls and colorful drop lighting, the space caters not only local families, but to beer fans from across the city searching for less commonly available offerings from breweries here in the Northwest. Guests can linger at the bright blue counter and watch the kitchen crew at work, or enjoy seating in a cozy booth or at the twenty tap bar top. The communal table is perfect for families and large groups and offers an ideal vantage point for watching the Seahawks or Sounders on the flat screen. Two Doors Down does not accept reservations and seating is available on a first-come, first-served basis. Orders-to-go are available by calling 206.324.2337. 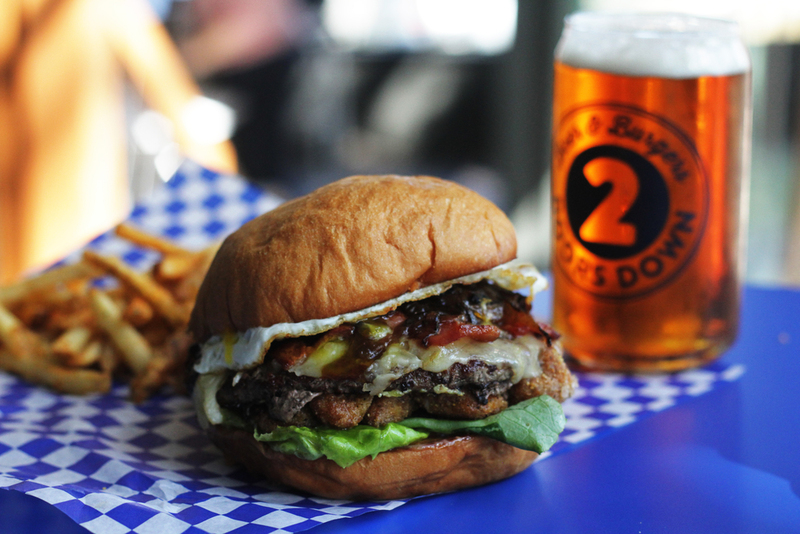 Two Doors Down is committed to featuring beers and ciders brewed primarily by small, independently-owned craft breweries based in Washington and Oregon. 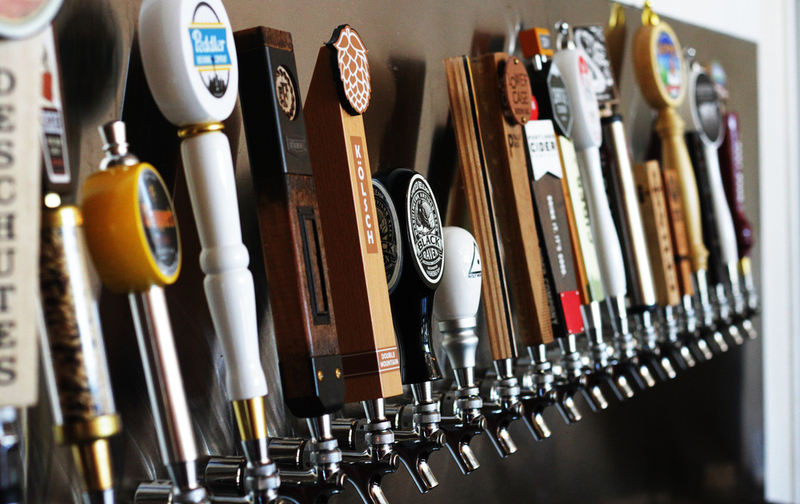 Our beer selection changes on a daily basis and includes at least three NW IPAs and three craft ciders at any time. We also feature a gluten free beer on draft at all times. 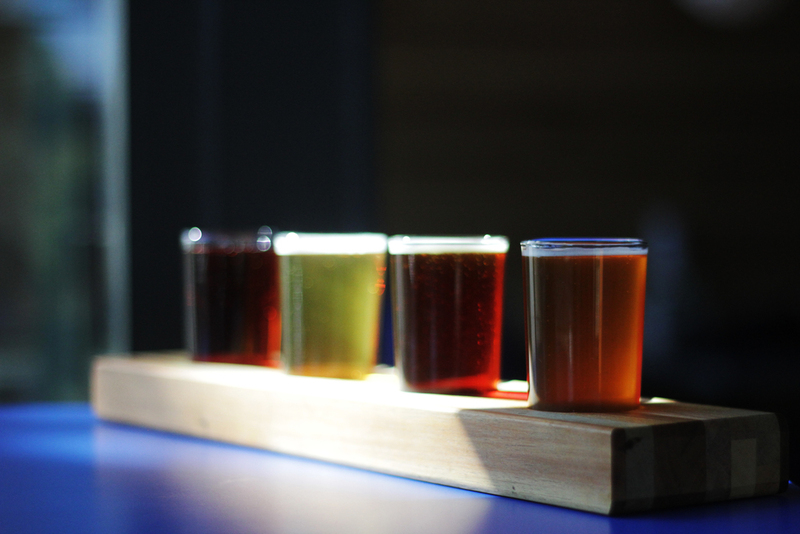 Flights include your selection of four, 4 oz. tasters and almost everything is available for purchase by growler (to go).